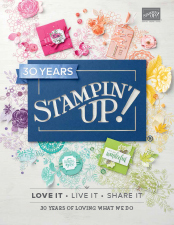 We have now reached the middle of Stampin’ Ups new Joining Offer for July and, oh my, is it a good one! If I was to say its the best joining offer I think Stampin’ Up! have ever had, I would not be exaggerating. So what’s so amazing I hear you ask. Well, apart from the already fabulous joining offer of choosing £130 worth of any product of your choice for the cost of £99, you can now choose a complete set of 10 inkpads from one of the four core colour families or the set of 2017-2020 in colours absolutely free! That’s another £63 worth of inkpads ABSOLUTELY FREE!!!! Lets face it, who doesn’t love free stuff? What are you waiting for? Join my team whilst this awesome offer is still available. You only have until the end of July to receive the free inkpads and you wouldn’t want to be the one who missed out would you?